Cardinal Dsiwisz, how would you describe your working relationship with the Supreme Pontiff during the thirty nine years serving him? It’s true, I was the private secretary to His Holiness John Paul II for thirty nine years, twelve years in Crarcow and for the remaining twenty seven years in Rome. A wonderful collaboration , I tried to serve him, to help him in everyday life, but he was always very patient with me. He never scolded me. I tried to do what belongs to a secretary, and tried not to disturb him. He was a man of peace. And so this work next to him was a very nice experience, very nice, one could learn a lot, especially about his concentration, his prayer. All what he did filtered it through his prayers. I could see he was a man of God. So also the work was very easy to work near him. I could do so with great tranquility. Whatever he asked me to do I did it with great harmony. 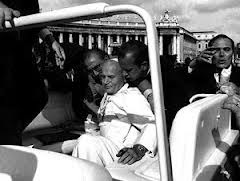 Eminence, can you tell me some memories of Pope John Paul II’s two visits in Malta? Do not address me eminence. 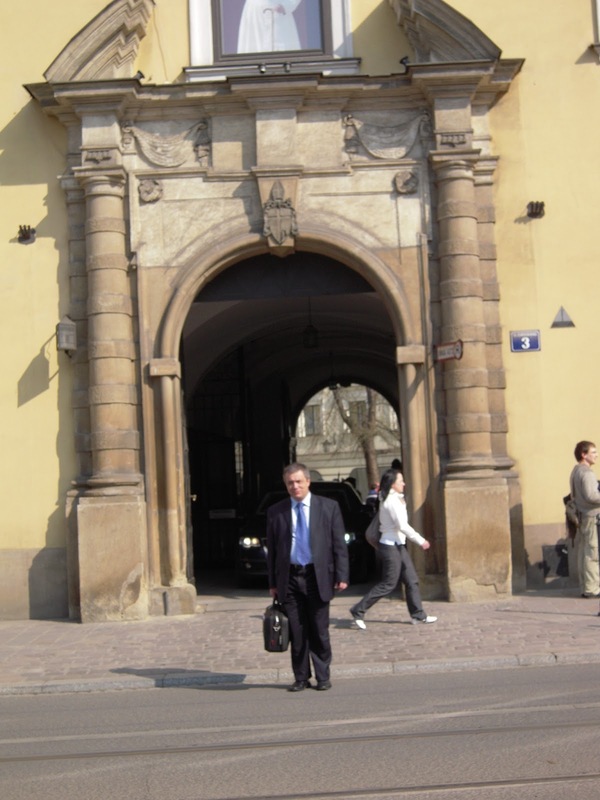 Call me Don Stanislaw as I am well known here ! Yes, the two visits were both very beautiful, still different because the first visit, the Pope was much more healthy, very strong, he could face a very long and demanding program that was not easy. Full schedule of commitments, everyone wanted to touch him, greet him, and he replied with all his immense heart. The two visits were all very beautiful, different because the first visit, the Pope was much more healthy, very strong, could face program that was not easy. Full schedule of commitments, everyone wanted to touch him, greet him, and he replied with all my heart. The Maltese people are very Christian, very united people of faith, very loyal to the Church. And so the Holy Father was very pleased. All the points of the program were very beautiful. Very impressive was the arrival in Malta. From the aircraft we could see so many churches, and these churches were so well maintained, more than three hundred churches .. Full of people, the atmosphere was of great joy. 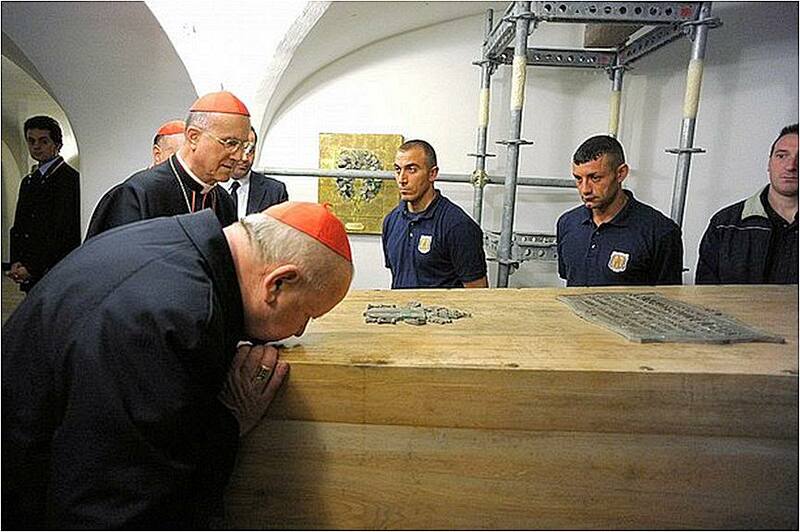 And the Holy Father felt very much at home. Loved, welcomed, protected especially with prayer. We always kept in our mind the beautiful activity in the Grand Harbour, he always remembered and compared it to the arrival of St. Paul in Malta. It is true we entered the Grand Harbour with different means different means but the maltese welcome had many common factors compared to what had already been received by St Paul from the inhabitants of this island. On his second visit he was older, already touched by sickness. Whilst he was noticed as weaker, he always had great spiritual strength and the people gave him this great power. The people admired him and so also in the second visit his meetings with the political hierarchy were done in an easier way then the first time. 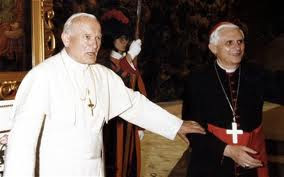 Don Stanislao can you reveal which are the most three significative stages in the Pontificate of Blessed Pope John Paul II? Yes. They are many. I will start from his election to the Petrine Ministry. After centuries of Italian Popes, the first non-Italian. And to the enthusiastic acclaim of the faithful in Rome and around the world. A new Pope from Poland, a young Pope full of life, enormously capable and very well prepared. This certainly was an extraordinary event. And certainly after this, the second time that the world has stopped for him was when he was attacked in St Peter’s Square. No one thought that this coul happen, an attack on an innocent man, a man of peace, and especially in St. Peter's Square. After so many beautiful things. Also the World Youth Days. He felt accomplished on thinking that young people must be helped to find their right way to reply to questions they will be looking for. Tor Vergata, but also all the all the Youth Days were wonderful! Even other big events, such as the year two thousand, the Great Jubilee, celebrated in Rome nobody thought that this Jubilee brings positive pastoral results. Meetings with families, with everyone. And certainly the third time that the world could be said that it was stopped again was for his death. And for his funeral. 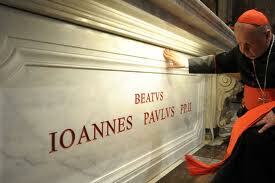 Again all over the world and not just the Christian World was near to John Paul II. 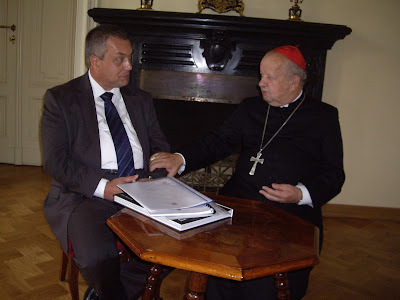 Eminence can you speak about your memories about the tragic assault on John Paul II in St. Peter's Square? He lost a lot of blood….the plan had been to kill him. There were very difficult moments during the operation. His doctor came to tell that the situation was very delicate.. his heartbeat was hardly audible. His blood pressure dropped drastically and he had bled profusely. Many many problems. 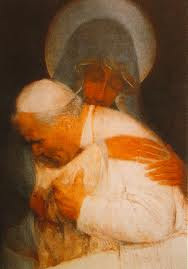 He was saved by God through the intervention of Our Lady of Fatima as he later said. 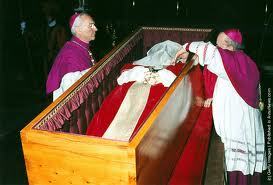 Eminences what can you reveal to us about Pope John Paul II’s last days on Earth? A priest, a professor read him nine chapters of the Gospel of St John. His last day, his last hours, the last day, he was conscious. He was aware of the his last morning of his last Saturday. That Saturday we concelebrated Mass. I had presided over the celebration…….over all the praying he did every morning …. His meditiation. After Greeting Cardinal Ratzinger who was the Dean of the College of Cardinals and some other collaborators….in the afternoon he wanted to prepare himself…to prepare himself because he was aware that he neared the end of his life. 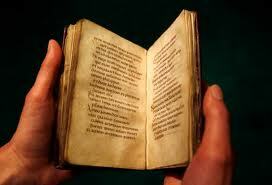 He asked us to read the Holy Scripture which he was used to reading. He used to pray through Holy Scripture. A priest, a professor read him nine chapters of the Gospel of St John. He prepared himself in this way. 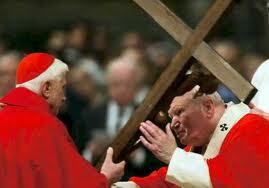 And so we too thought of concelebrating Mass dedicated to Divine Mercy…on Saturday evening. And we have him a few drops of Christ's blood on his tongue. 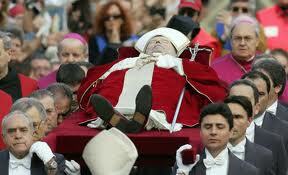 After Mass we gave him Extreme Unction and thus slowly, he died! But I say that he gave great dignity to death. He used to say that death was just a passage to eternal life. He was so aware of those passing from one life to the next. The Pope was assisted by the young people and the crowd which prayed for him filling St Peter's Square. 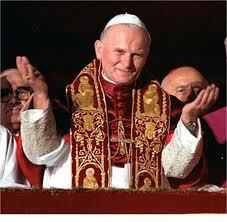 How do you define the Pontificate of Pope John Paul II? Long but fruitful. Very fruitful. 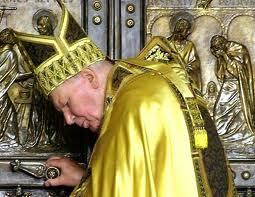 The world and had politically changed during the pontificate of John Paul II. And certainly he had his print in this change. Firstly, the collapse of marxsism, communism, not only in Europe but also in the world. The Church had become closer to the World and the World to the Church, especially to the World of Culture. Even science and faith are less distant. They are more closer. He had shown that science needs faith, science of reason, has solved many things. Many documents. Great teaching. It was a milestone in the history of the world. Now there are other problems. Now we have another very gifted Pontiff, the Holy Father Benedict XVI. They had among them a wonderful collaboration. Mutual respect and also a true collaboration. Be our Way, our Truth, and our Life. Form us anew in how you died. and will arise in glory. Holy fire, come dwell in each heart. Grant us the gifts your love imparts. Break the yoke of violence and war. 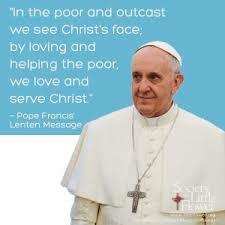 Open the hearts of rich to poor. long to embrace your freedom. vengeance destroys and fear misguides. for you alone are holy!